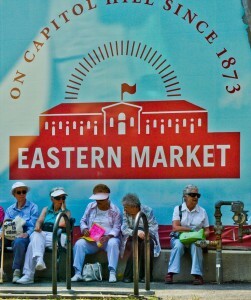 At Eastern Market, your job’s not your credit. You gotta pay cash for the produce. Well, that’s funny if you’re a local because Eastern Motors used to run a commercial nonstop. Otherwise, you’re thinking I’m nuts. 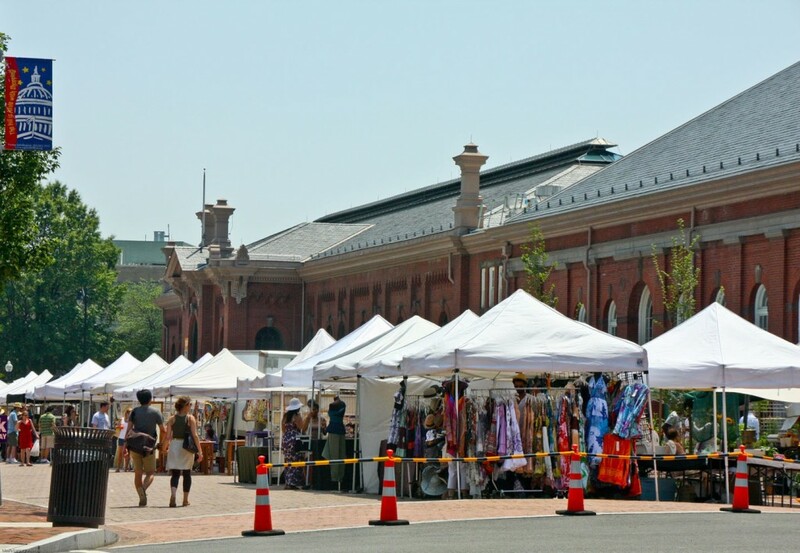 Anyway, Eastern Market opened in 1873 at 7th St. and North Carolina Ave. SE as a shopping district for Capitol Hill residents. It was designed by Adolf Cluss, whose red brick style included Cavalry Baptist among six churches. A fire badly damaged South Hall on April 30, 2007. It re-opened June 26, 2009 complete with air conditioning. The farmer’s market offers meats, fish, poultry and dairy products. On weekends there are arts and crafts vendors and then a nearby flea market that really brings in the crowds. It’s essentially a town hall for the many government employees who live near the U.S. Capitol. This entry was posted in Attractions and tagged Adolf Cluss, Best Washington DC walking tours, Eastern Market, offbeat Washington attractions, Photos by Lisa Snider, Washington D.C.. Bookmark the permalink.